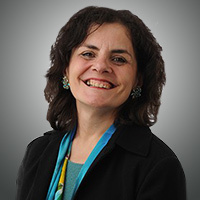 Professor Juli Campagna is an experienced lawyer, law professor and a linguist. She has a master’s degree in teaching English as a Second/Foreign Language and was a licensed translator of three languages for many years. Before she went into teaching the law, Professor Campagna practiced law for decades, where she worked on international transactions with lawyers from the civil law legal system. Their focus on “the code” is not new to her, and informs how she teaches them to read, research and write about the fact-intensive common-law legal system. She has taught lawyers, judges and law students from all over the world during the past 10 years at Hofstra Law and in law schools, law firms and bar associations in Europe, Asia and Latin America. She presents widely at conferences here and abroad that focus on how to teach students whose native language is not English and whose native legal system is not the common law. She won the Global Legal Skills Award in 2014 (received at the Faculty of Law in Verona, Italy at the Global Legal Skills Conference) and was named Professor of the Year at Hofstra in 2013. One of the most interesting and arguably most challenging things about the law is the intense role that language plays in it. This is true no matter what the student’s native language or country of origin. This comes as a surprise to American law students, too. Being able to use language to benefit, defend or otherwise support your client is probably the most important thing a lawyer has to do. Helping her students acquire and improve their legal linguistic skills is Professor Campagna’s duty, goal and pleasure.